If you want to take a full school year to do a multi-age-level unit study on creation, the Institute for Creation Research provides resources for a 36-week creation unit study plan. Submit your email address below for a PDF outline of a plan that will equip not only your students but the entire family! 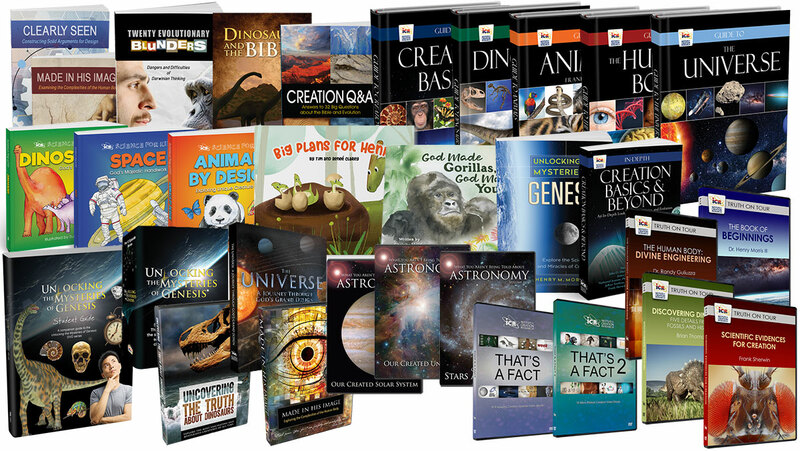 The creation unit study resources are available on the ICR store website. For a link to ICR’s free Creation Unit Study Outline, enter your email address in the field below. * You will only receive emails from the Institute for Creation Research and the ICR Discovery Center for Science and Earth History.